It can be pretty concerning when your dog won’t eat. Dogs that are picky eaters can be a challenge if you don’t have the right information to do something about it. Luckily, you do have many options to get things back on track when your pooch is not eating. Now, there are a lot of potential reasons why your dog won’t eat. Some of them are simple, and you can easily address them yourself. Others should be addressed by a veterinarian. Also, remember that dog foods are formulated differently for certain ages and breeds. Your dog might be getting too much or too little of certain nutrients, and their body could be letting them (and you) know it. Treat time with your smart doggo can be fun, and training them with the use of treats and positive reinforcement is ideal. Teaching them tricks is rewarding for both you and your dog. However, feeding too many treats can spoil your dog’s appetite, leading to finicky behavior at feeding time. Bland, dry food can be boring and it’s normal to want to spice up your best buddy’s life by sharing your yummy food, but feeding your dog too much human food can spoil your pooch’s appetite. Plus, by doing so too often, you might be contributing to your dog’s dietary issues. It can also be quite unhealthy, especially if you’re not feeding your pooch the right foods. 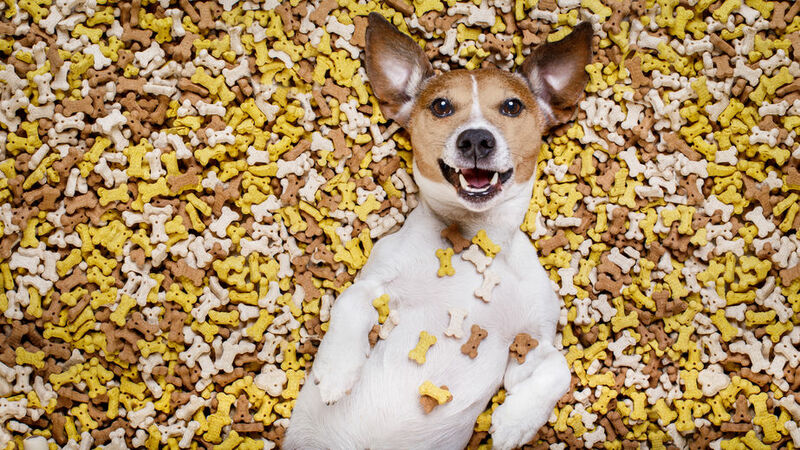 If you feed your dog a steady diet of human food, you could be depriving your pup of vital nutrients that are found in specially formulated dog food.3 A treat of healthy human food once in a while is fine – but be careful not to overdo it. If your dog won’t eat, and your vet has ruled out any serious underlying issues, there are several ways you can address this finicky behavior. You can also do a simple two-bowl test with different foods to find what your dog prefers. Also, stick with food made for your dog’s age and size. Formulas are different for puppies, adults, toy breeds, and large breeds. And yes, this may mean buying different foods if you have other dogs who are different ages or sizes. 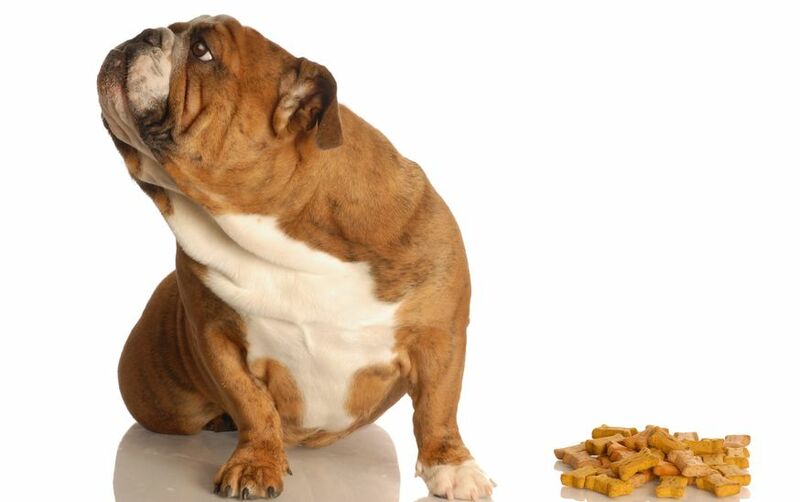 If your dog is overweight or obese, talk with your vet about a diet plan as soon as possible. You can find many different dry foods and wet foods made specifically for dogs on diets. Don’t let this one slide. Being obese may put your dog at risk for some serious health issues.6 If you think your dog might be overweight, get them to the vet for an exam and guidance going forward. If you think too many treats may be the culprit, then changing the kind of treats you give can help. You can find small “training treats” that contain less fat and calories than other, much larger goodies. This will also help with training, so your pup won’t fill up as much when they’re rewarded for good behavior or learning. Another great idea is to provide an interactive dog toy that is designed to give your dog treats while they play. There are a variety of dog toys that can hold peanut butter (or other dog-safe foods) inside. You can even freeze these to give your dog hours of yummy stimulation – without filling your pooches’ belly. Turns out, there is growing concern about possible salmonella in some commercial, natural dog treats.7 If you’re worried about this, consider homemade treats. 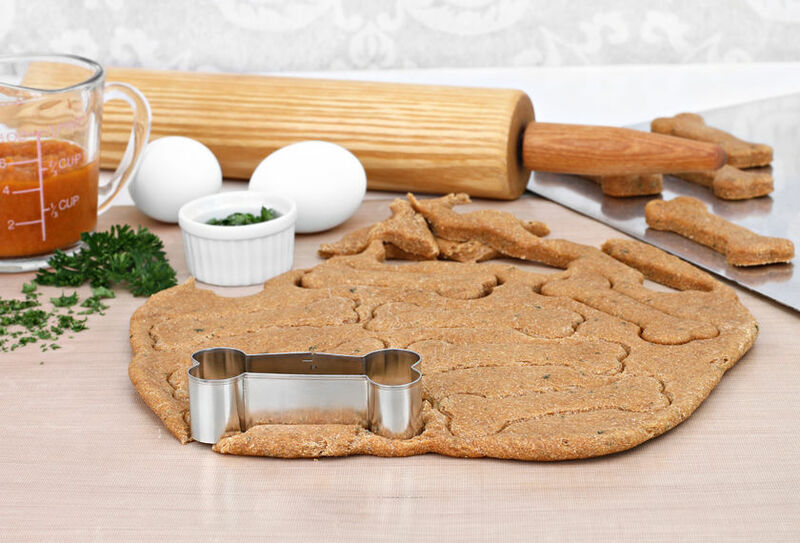 This way, you will know exactly what you are giving to your dog, and you can better regulate the size and amount per serving during preparation. If you read the section above and questioned whether your dog might fall into this category – they probably do. It’s tough to say no to those sweet, begging eyes. But saying no, or at the very least, giving very small bites (of dog-safe human food options) could be beneficial to your pooch’s dietary and overall health. And this can’t be stressed enough: Only feed safe foods to your dog. If you give them items that upset their tummy, then this could lead to lack of appetite (or far worse).8 There are tons of resources to find dog-safe human food options, but you should also run these by your veterinarian. 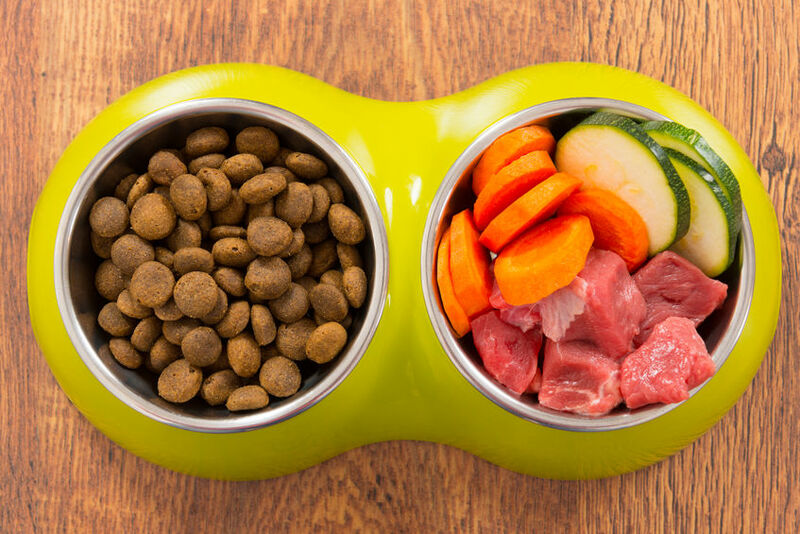 If you feed your dog only carefully prepared human food or a raw diet, then it may be a good idea to mix in a dry or wet food to ensure that your dog is getting essential vitamins and nutrients. Talk with your vet about the best options for your best friend. Disinterest in food can be a sign of something more severe than your dog just being a picky eater. There could be some underlying condition leading to your dog’s unwillingness to eat. If your dog won’t eat for longer than one day, then it’s time to make that call. Alternatively, if your dog normally has a healthy appetite, it couldn’t hurt to call on day one. Your veterinarian will be able to run several tests to check for any potential illness or condition that might be leading to loss of appetite. 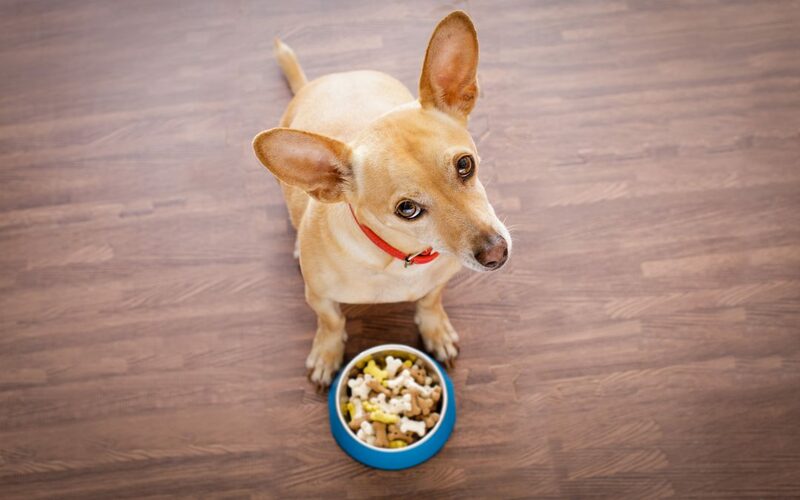 If you’re wondering why your dog won’t eat or is a picky eater, it could be something as simple as not liking their dog food – or it could be much more complicated. If you notice this finicky behavior in your best friend, take action. Changing your dog’s food or offering dog-friendly human food is an easy way to determine if it is simply preference or distaste. If your dog won’t eat anything at all, then it’s definitely time to talk with your veterinarian.